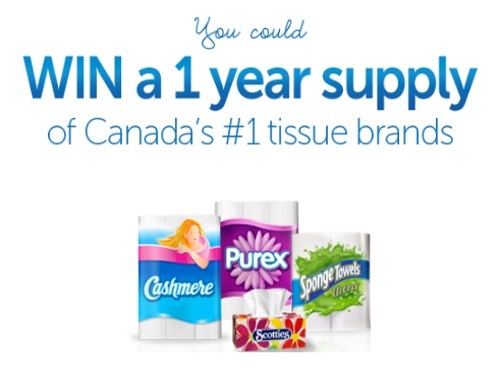 Join the Kruger newsletter and be entered for a chance to win a 1 Year Supply of Kruger paper products including Cashmere, Purex, SpongeTowels and Scotties! Wiinners will receive 360 rolls of Cashmere or Purex bathroom tissue, 64 rolls of SpongeTowels paper towel and 96 cartons of Scotties facial tissue! Contest closes February 1, 2017.